If you are reading this passage its most likely because you’re interested in understanding the association between Testosterone therapy and hair loss. 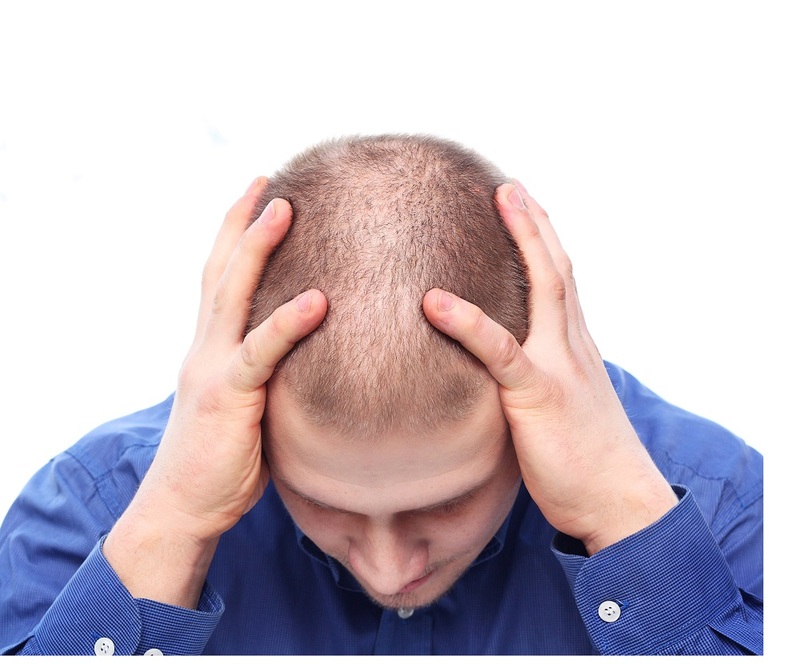 Male pattern baldness affects up to 70% of men and 40% of women. Hair loss is caused by hormones and certain genes. Arguments exist that theorize an increase in testosterone directly contributes to male pattern hair loss. The theory is that testosterone when combined with enzyme 5-alpha reductase makes DHT. DHT affects genetically predisposed hair follicles on the scalp. As a result, weaker hair is produced. If this condition remains untreated, eventually no hair is produced. However, there is no concrete evidence that additional testosterone means more DHT resulting in hair loss. There have been no conclusive clinical studies that link testosterone treatment to hair loss. Nevertheless, there is no shortage of bloggers that post unsubstantiated evidence about experiencing hair loss immediately after beginning a testosterone replacement protocol. Some patients may experience short-term hair loss, which is possibly a result of your system being shocked from beginning treatment. Hair is extremely sensitive to internal body changes, and this could possibly result in the hairs entering the resting stage of their cycle earlier than normal. However, if the hair loss is a result alopecia areata, the hair should re-grow after a few months when the body has adjusted to the treatment. Conversely, if the onset of male pattern baldness has begun, this form of hair loss will continue unless treated. Upon administering testosterone to the body, many physiological manifestations occur. The majority of them are positive and the reason we undergo this effective form of treatment. On the other hand, there are also negative side-effects that result from testosterone treatment. This is the reason AAI Rejuvenation Clinic stresses it is of the utmost importance that your programs and therapies be supervised by an age-management, qualified physician and specialist. Increasing your testosterone levels via testosterone replacement therapy must be accompanied by several supplementing pharmaceuticals that will be prescribed in tandem with your testosterone therapy by AAI’s physician. This individualized protocol will help ensure we keep all the negative side effects at bay. Let’s return to the topic of hair loss. Generally speaking, if you are not genetically predisposed to male pattern baldness, you will most likely experience a successful testosterone replacement program without this disrupting side effect. Most men are able reap the benefits that stem from undergoing a physician organized, prescribed and supervised testosterone replacement program. It is important to note that if you are genetically predisposed to thinning hair or hair loss it will naturally occur as you age, because it is part of your DNA. Please note, sometimes commencement of therapy coincides with the natural aging process. Therefore, the onset of pattern baldness is not directly linked to testosterone therapy, but to aging. Regardless, there is no shortage of sites and forums claiming that higher testosterone levels in the blood coincide with balding. This misinformation is being posted by men convinced that their hair loss occurred when they began their testosterone replacement program.